I am a deer hunting expert for precisely three months out of the year. To be exact, I am an expert during February, March and April. Why these three months? Simple. For the same reasons you only brag about your hunting dog well after the hunt. It will save you a little embarrassment and ease the chides from your hunting buddies. With that, I would like to talk to the hunter just getting started on their journey. We’ll look closer at some of the roadblocks that are less commonly discussed. As always, my work is generously guaranteed through the months of my expertise. They seem never ending in our modern world and it is no different for the hunter. As a boy in Michigan I don’t remember finding the regulations all that complicated. That changed when, as an adult, I moved to Wisconsin for my day job. I looked at the gray pages of the regulation book and was immediately confused. The rules seemed drastically different from those of my boyhood home. The thought of deciphering the legalese, and the headache that came with it, kept me out of the woods. I have spoke with many other people who have shared this problem. Looking back from the other side I am disappointed in myself. I wish I would have taken action sooner to figure things out. So what snapped me out of this mindset? Mainly luck… A chance change in work assignment had me working closely with avid hunters. Sharing stories brought back memories of past hunts and reignited my passion. These conversations helped me put the regulations into context. Once in context, the rules were orders of magnitude easier to understand. Having the chance to bounce questions off someone with experience took the regulations from theoretical to practical. In retrospect, I should have sought out fellow hunters much sooner. It is a rare hunter that doesn’t like sharing a story. Talking about hunting will get you excited and this excitement will help you dredge through the boring bits of the regulations. When you don’t understand something, a conversation can save hours of research. Being a millennial, I would suggest connecting over social media. You can transcend your locality and find experts that are willing to share their advice for free. Also, many states offer first time hunting programs chock-full of volunteers looking to mentor people just like you. You are going to have to buy some stuff if you are going to have an enjoyable, and effective, hunt. Before you take out that second mortgage, let me chime in and see if we can make things more understandable. On the onset this seems easy… Research the gear and find the best value… But there is a problem. For every category of gear there is a premium (read expensive) option. And for every premium option there is a bona fide expert telling you that their gear is integral to a successful hunt. Don’t get me wrong, many premium products are outstanding. But if you try to outfit yourself like a Cabela’s pro staffer you will find yourself in some serious debt. Upgrade your gear as you move deeper into hunting. With experience you will better know where to cut corners or spend that pretty penny. So what should you look for? It will help to break your buying options down into three categories. The first, and most important, is safety. I would not recommend cutting corners for this gear. The type of gear can vary based on the type of hunting and the geography of your area. Things like safety harnesses, first aid kits, compass, firestarters and emergency shelter could save your life. Even in smaller plots of land, help may not be able to get to you quickly. You need to be able to help yourself. Along with the gear, you need to implement safety planning. Mentally rehearse how you would respond to emergencies you could face. Let someone know where you are going and what your plan is in case of an emergency. Hunting done with care is extremely safe but cutting the wrong corner could end tragically. Next you and your gear need to be ethical. The word ethical takes on a strange meaning in the hunting world. In this context ethical means killing an animal as quickly and painlessly as possible. Tread with caution, the vitriol spewed over arguments like .270 vs 30-06 or Hoyt vs Mathews will leave you more confused than when you started. Here is the secret: it really doesn't matter that much. What does matter is practice. Sacrifice the latest and greatest mentality and invest time and money in practice. Seek out products and services that make it easy, entertaining and safe to do so. I have found that the time spent practicing is almost as rewarding as the hunt itself. The final category to consider is comfort. How you spend your money depends heavily on your location and style of hunting. If you are in a cold climate you are going to need clothes that are warm and can be worn in layers. If you are planning on long hikes it may be worthwhile to spend more on a hunting stand made from lightweight materials or a nice pack. In this area you can spend as much or as little as you want. If I was first starting out I would budget the most for quality boots and a wool base layer. I would initially cut corners with the rest and slowly outfit myself with quality gear as it becomes affordable. 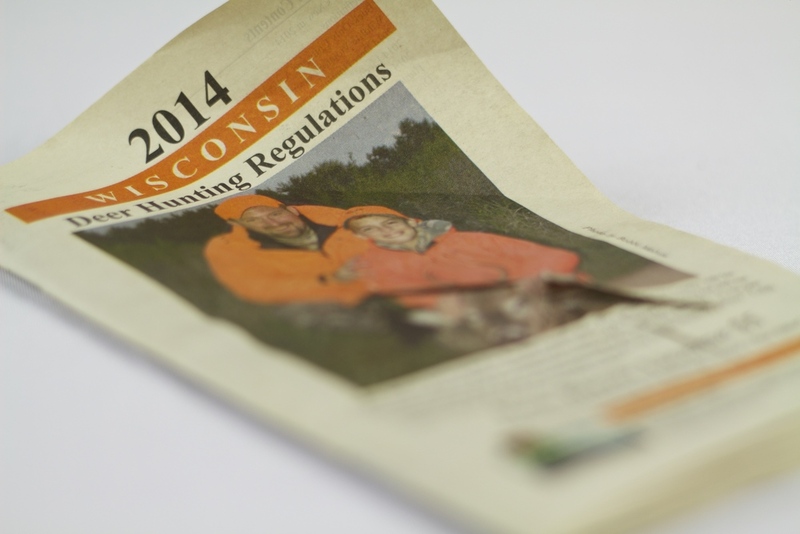 One of the biggest roadblocks to any hunter is access to hunting land. Many of you will get your best opportunities on public land.The down side to public land is that you will likely be sharing it with multitudes of other hunters.This can cause problems in not only success rate but safety. With some preparation, even the novice hunter can be safe and successful on public land. If you are planning to hunt on high presure public land, take some extra time to think about safety. Not only in terms of your safety but also the safety of your fellow hunters. During gun season you cannot wear enough blaze orange. I even bring an orange hat during bow season. If nothing else, I use it as a flag to get the attention of the small game or bird hunter. Don’t assume other nearby hunters see you. Make your presence known that way there can be no mistakes. I also like to be up in a tree. Using a tree stand offers a vantage point to see other hunters. In extreme pressure (i.e. opening day gun season) I fly a blaze orange flag that can be seen 360 degrees from my tree. Being in a tree also means that you know that your projectile of choice will be hitting the ground and not flying far beyond your target. The other problem that comes with high pressure is finding promising stand locations. The deer respond to hunting pressure and they change their patterns to avoid humans. Most hunters will be within ¾ of a mile from their vehicle. You can use this to your advantage. Use Google Earth to locate promising spots that are not easily accessed. Look for long hikes, swamps, and thick brush. These location scare the lazy and hide the deer. Once you find a good location, get there earlier and stay longer. Your chance of seeing deer increase if you are in your stand when other hunters are crashing through the woods coming in late or heading out for lunch. As you progress, start thinking about how the deer are going to react to the pressure. Use Google Earth and see if you can predict travel corridors. This can be done based on terrain, wind and types of cover available. Then, test your theories and see what you can learn. With practice, your skills will develop and you can be more selective of the deer you shoot. Eventually entering the ranks of expert hunters after a specific mature buck. If you have no experience with hunting, getting started can be overwhelming. If you find yourself in this position I suggest that you dive in headfirst. Be prepared to make mistakes and don’t be afraid to ask for help. As a hunter you will gain experiences that many don't know exist. Although, you will try to put them into words, the experiences will be mostly indescribable and deeply personal. You will never regret spending a day preparing for, or going on, the hunt.